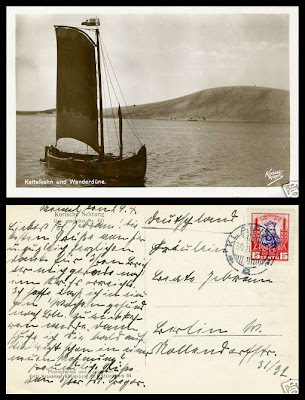 Postcard from Klaipeda (Memel) to Berlin, Germany, dated 30 April 1931, showing view of sand dunes on Kurische Nehrung (Curonian Spit). Lithuanian domestic rate of 15 c. The domestic rate to Germany was allowed until 1936. Klaipeda "a" cancellation.